The Kenyan champions who had a disastrous journey arriving in the city just two hours before kick off lost 5-1 to their hosts on Sunday and have officially been eliminated from the tournament after a fine run this season. Gor Mahia lost to the same side 1-2 at home in Nairobi a week ago. 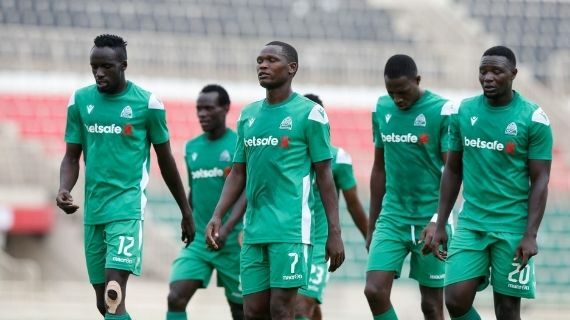 The first 20 minutes looked exciting for both teams and Gor Mahia showed less signs of extreme fatigue with Lawrence Juma even canceling Berkane's 20th minute goal three minutes later. However as the match progressed, Berkane later took advantage of the sluggish tired Gor legs and humiliated their hosts through goals by Mohammed Aziz, Bakre El Halal, Issouf Dayo and Yousse Essaidy. Having already been eliminated in the Shield Cup competition where they lost to Bandari , Gor Mahia will now shift their attention to the national league title.